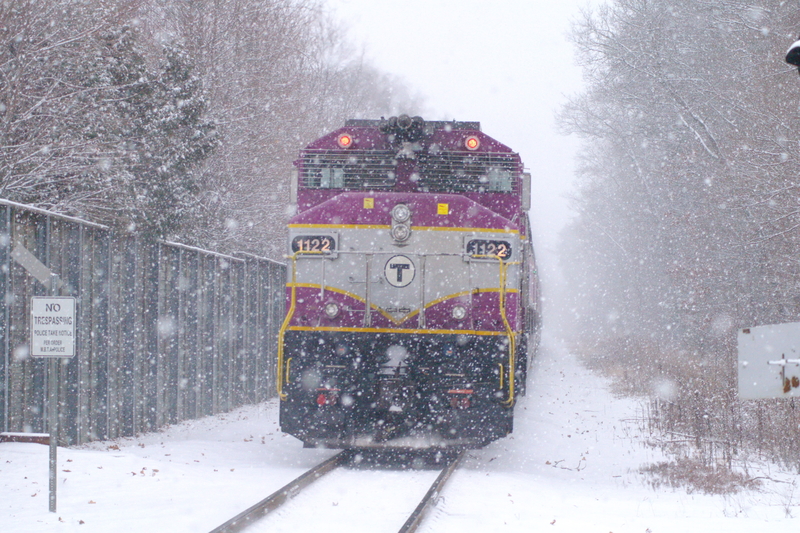 MBTA #1122 powers a northbound train through the former New Haven mainline in Abington. This mainline served Kingston in the former New Haven days. The railroad mostly carried commuters into Boston. The paint scheme is actually inspired by the former New York Central lightning stripe paint scheme. #1122 is classified as a GP40MC-2. I am on facebook. See https://www.facebook.com/wohara2. You may also email me at bill@billohara.com. My twitter handle is N1EY.